Our plain concrete precast is the most cost effective walling method. It is manufactured using a normal cement blend that gives a grey finish and a single sided texture. These walls are more cost effective than bisided brickcrete walls. All walls are reinforced with steel. Normal concrete precast walls are solid so that intruders cannot see inside. Normal concrete precast walls does not contain oxide, but they can be painted with a good quality cement or roof paint to match the colour of your house or garden. 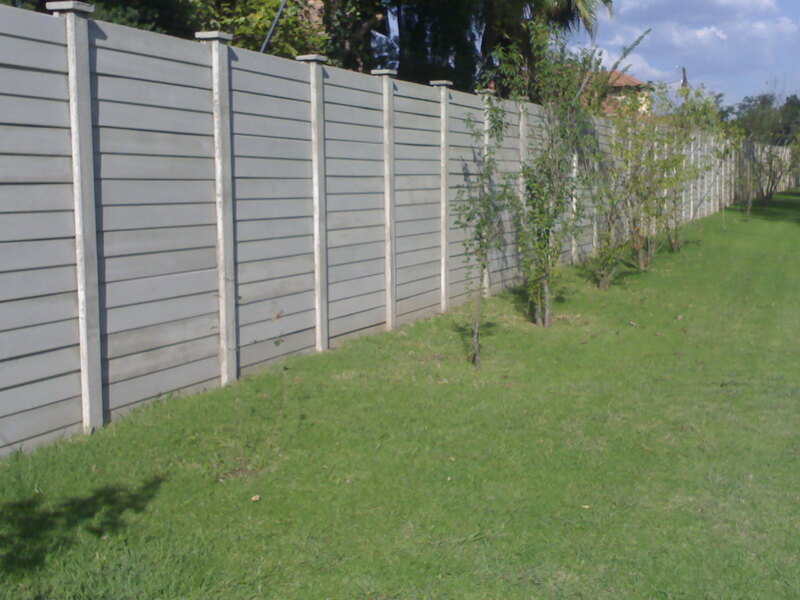 Exclusive Walls will install or supply your precast concrete wall anywhere in Gauteng, Pretoria and/ or Johannesburg. We also service the surrounding areas including Witbank, Springs, Rustenburg and Bronhorstspruit. We also do extensions on existing walls as well as repair all types of pre-cast walls. We also do extensions on existing walls as well as repair all types of pre-cast walls. Please feel free to give feedback, comments or even suggestions in our Testimonials on our website, on any or all of our products and services.